Circa 1849. Step into a landmark treasure in the heart of a historic town. 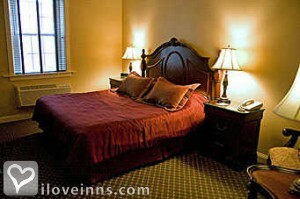 Modern amenities blend seamlessly with the old world charm of this inn in the National Register of Historic Places. 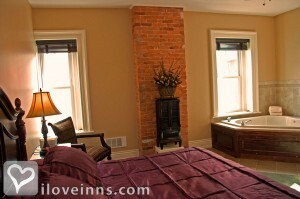 Soak in a whirlpool tub or relax by the fire in your suite. Burn calories in the exercise room or bike through the surrounding mountains; bike storage is available on-site, then treat yourself to a hot stone massage or lavender wrap. Consider hosting a corporate retreat or meeting. High speed Internet access is available. Choose a flame-grilled specialty off the menu of the hip Broadway Grille and Pub. Be sure to ask about packages for mid-week getaways, romance, or adventure. 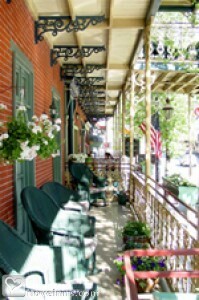 The quaint town offers shops, galleries, live music, and restaurants within walking distance of the inn. Enjoy the natural beauty of the area by going river rafting, kayaking, skiing, or hiking. Mauch Chunk Museum and the Old Jail Museum provide an interesting way to learn about the area. 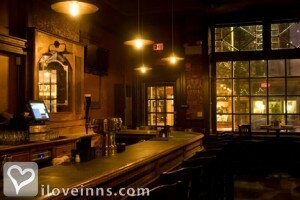 Payment Types Accepted Include Discover, Visa, Master Card, Diners Club, American Express, Travelers Checks and Cash. This property has 51 total guest accommodations with private bath, 9 with fireplaces, 14 with whirlpools, 16 total suites, including 3 two-bedroom suites and 2 conference rooms. The types of beds available include Queen and King. Free Wi-Fi throughout hotel and restaurant. Business center with PC, desk and printer located on second floor. Two nights on certain weekends and holidays. Switchboard Railroad, first railroad in U.S. (walking distance), Asa Packer Mansion, Millionaire's Row, Jim Thorpe final resting place (walking distance). Float down the beautiful river, through Lehigh Gorge State Park …Our rafting packages are fun for the whole family! Rafting package includes 2-night stay, one $30 (per person) dinner voucher for our Broadway Grille & Pub (located just downstairs), a $7 (per person) daily breakfast voucher at the Broadway Grille and all taxes. April-June: Midweek (Sun-Thurs, non-holiday): Packages start at $189 per person Weekend: Starting at $248 per person. July-September: Midweek (Sun-Thurs, non-holiday): Packages start at $194 per person Weekend: Starting at $259 per person. October: Midweek (Sun-Thurs, non-holiday): Packages start at $194 per person Weekend: Starting at $279 per person. _______________________ All packages are per person, based on double occupancy. Valid from 03/21/2019 through 11/01/2019. Pedal through miles of forest and mountain laurel along our meandering river on comfortable bikes… and spend the night in our charming little town. Includes 2-night stay, equipment (bike & helmet), bike shuttle, a $30 (per person) dinner voucher for our Broadway Grille & Pub (located just downstairs), and a $7 (per person) daily breakfast voucher at the Broadway Grille and all taxes. April-June: Midweek (Sun-Thurs, non-holiday): Packages start at $184 per person Weekend: Starting at $222 per person. July-September: Midweek (Sun-Thurs, non-holiday): Packages start at $189 per person Weekend: Starting at $244 per person. October: Midweek (Sun-Thurs, non-holiday): Packages start at $189 per person Weekend: Starting at $264 per person. _____________________ All packages are per person, based on double occupancy. Valid from 03/21/2019 through 12/01/2019. 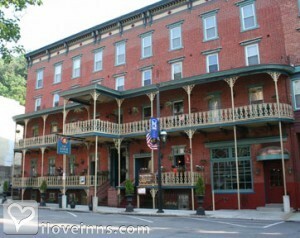 Play hooky, call in sick or just get the heck out of town - enjoy Jim Thorpe during the week. There's lots to do! Package includes a 2-night stay, a $30 (per person) voucher for dinner at the popular Broadway Grille & Pub (located downstairs) one night, and a $7 (per person) breakfast voucher for the Broadway Grille. Prices start at just $129 per person. Must be booked online. Price is per person, based on double occupancy. Valid Sunday through Thursday, only, excluding holidays. Valid from 10/20/2017 through 11/28/2019. Romance, wine, and a massage - what more do you need? Package includes a 2 night stay, his and her 55-minute Swedish massages*, a bottle of wine in your room, 2 souvenir wine glasses, a $30 (per person) dinner voucher for our New Broadway Grille & Pub (located just downstairs) and a $7 (per person) daily breakfast voucher at the Broadway Grille. Available on weekends only. Rates* start at: May + June: $274 July through September: $289 October $319 *Standard room, per person, based on double occupancy. 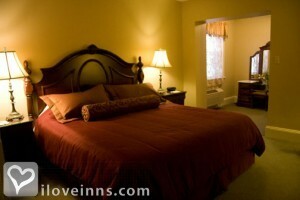 *All packages are per person, based on double occupancy, unless otherwise noted. A 12-hour cancellation policy is required for massages, otherwise a $30 fee will apply. Packages cannot be booked online. 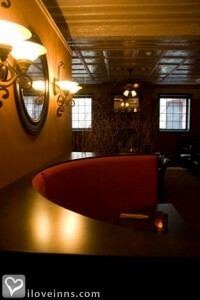 Please call 800.329.2599 for reservations. Valid from 12/04/2018 through 10/31/2019. 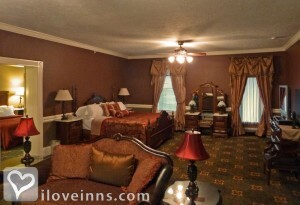 We had the opportunity to spend a weekend at your lovely inn. Your staff is extremely friendly, helpful, and courteous. I can't remember when we felt so relaxed, we hope to come back again soon. Philadelphia Inquirer, Pennsylvania Magazine, Allentown Morning Call.